President of the European Commission Jean-Claude Juncker, European Council President Donald Tusk and NATO Secretary-General Jens Stoltenberg are taking the EU – NATO partnership to the next level by signing a Joint Declaration reconfirming the two organisations’ commitment to continue their cooperation, for the security of their citizens. The EU’s joint work with NATO is advancing with full steam, to implement the 74 joint concrete actions in the seven areas of cooperation identified in the 2016 EU – NATO Joint Declaration signed in Warsaw, which includes countering hybrid threats, cyber security and defence capabilities, and joint exercises. 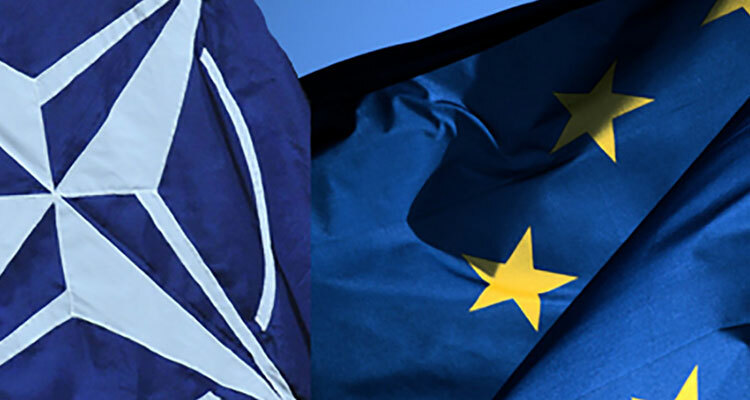 EU – NATO cooperation constitutes an integral part of the EU’s work aimed at strengthening European security and defence. Significant progress has been made since President Juncker‘s call for the EU to become a stronger global actor, notably through the establishment of the Permanent Structured Cooperation, the creation of the European Defence Fund and work on military mobility. The EU’s commitment to advance its work on defence is also reflected in the Commission’s new budget proposal, which includes an increase in spending in the field of defence to a total of €27.5 billion from 2021 to 2027. You can find the full text of the Joint Declaration here. For more information on EU – NATO cooperation and military mobility see the factsheets online.